Comments from residents are invited from today (Thursday) into modifications suggested by Planning Inspector Mary Travers on the draft Melton Local Plan. It was announced last month that the Inspector had put forward a series of changes in Melton Council’s proposed plan, which will determined development opportunities and policies across the borough for the next 20 years. The council has now launched a public consultation into the suggested modifications which will last until June 20. Mrs Travers proposed ammendments after she deliberated for more than two months after sitting through a two-week public hearing and visiting relevant sites and locations back in January and February. Public comments will be forwarded to the Inspector for consideration in her final report which will confirm whether she thinks the plan is sound enough to be formally adopted by the council. The council has emphasised that no representations should be made about parts of the plan which are not proposed to be modified as these will not be considered. 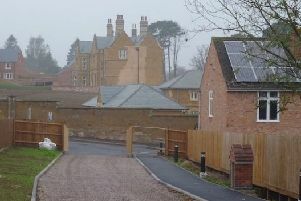 Among Mrs Travers’ recommendations was that a ‘stepped’ approach to housing delivery should be followed to ensure that levels of building will not significantly increase in the early years after adoption of the plan until the new housing starts to come forward from both of the town’s sustainable neighbourhoods. There are some specific modifications she would like to see made, such as the addition to the plan of a housing development site at Hoby Road, Asfordby, and the removal of a previously designated site on Sandpit Lane, Long Clawson. Go online at www.meltonlocalplan.co.uk/mods for more details about the plan, the suggested modifications and to make a comment. • Clarification on what contributions will be sought from development to expand schools (where necessary).